Jeff and Neo did a fantastic job with our sale in Discovery Bay. All details were handled professionally and timely. They have great working knowledge of the transaction details and are a great team on getting through the process from start to finish. What impressed me the most was they both return calls promptly, follow up and had the answers I needed as well as keeping us up to date as the process moved forward. Smoothest real estate transaction I have ever done. Jeff also worked closely with our realtor out of the area on helping make sure our deal went smoothly on the other end. Would definitely use them again and highly recommend them. Bob V.
Neomi was very responsive to our needs, she found houses that made the most sense for us, scheduled visits to the homes and worked with us all through closing the sale process. The owners of the home we purchased were out of town during the sale process and Neomi went out of her way to ensure proper document flow. The sale was quick and required Neomi to work at a pace faster than normal however she was successful in making both the sellers and us happy in the process. Ed E.
I could not have asked for more knowledgeable, experienced Realtors to work with on the sale of my rental properties than Jeff & Neo. Jeff & Neo knew the market in my area and were able to provide critical guidance to me during the transactions. Jeff and Neo negotiated with the potential buyers on my behalf flawlessly. I received regular calls and email with updates on transactions, and was well informed of what to expect during the process. I have not purchased or sold a property in 10 years and the process has changed quite a bit. Jeff & Neo took the time to explain the process to me and I trusted them with these transactions. In the end Jeff & Neo gained multiple offers on my properties and closed the deals without any issues. I highly recommend Jeff & Neo for all of your Single family and Multi-Unit real estate needs. Brian T.
There's not much more to say other then the fact that Neo is extremely professional with what she does. She always kept us up to date with any changes in the sale of our house, along with explaining any pertinent details she thought could have a negative impact on us. I highly recommend Neo and will most definitely be using her when we sell our new home. She has a vast knowledge in real estate specifically in the Discovery Bay Area. Chris H.
Not only did Neo sell my house, she also helped my daughter buy/rent a house. She was very knowledged about the area since she has lived in the area for a long time. Since this was the first time selling a house for me, Neo was very understanding with all the questions and concerns I had. She always responded very quickly to any questions if it was by phone or text, I could always count on here to get back to me very quickly. Sabrina D.
Jeff and Neomi are a pleasure to work with and very knowledgeable. They saw us through the process of selling our house and purchasing our new home. They are professional, informative and trusty counsel. We really appreciate the dedication Jeff and Neo deliver. We have and do recommend working with this fantastic team. Ron C.
This is the 2nd home Neo had found for us. She found us our rental in DB 2 years ago and has now found us our forever home! Thank you for your wonderful customer service and for putting up with us. Kim M.
My husband was the original owner of our 18-year-old home. Jeff and Neo gave us excellent recommendations of improvements which resulted in a multiple offers - all above asking! We were ecstatic with their professionalism, integrity, and knowledge. We will most definitely recommend Jeff and Neo to friends and relatives as well as have them sell our current home when we are ready to make our next move. Sally D.
Neo was not only friendly and knowledgeable, but she always went the extra mile to make sure we got what we wanted. Her attention to details was impressive. Thank you Neo! Memo C.
If it wasn't for Jeff & Neo, I wouldn't be living in Discovery Bay right now....especially with this market. Their market analysis and information kept me up to date and I got in at the right time for me. And as a first time home buyer that's what I needed!! Greg S.
I have used Jeff and Neo several times over the course of the past several years, and each time I am more impressed. I have recommended them to others and they too were as impressed as I was. Both are very responsive and will fight hard for you. They ensure that you are appraised of everything that is occurring during the sales process and also ensure that you are receiving the best customer service. I would not use anyone else. Both are very knowledgeable and will get you the most for your home. Louis Q.
Neomi worked endless hours to negotiate our home purchase for us! It wasn't an easy transaction due to the fact there were three properties involved. At the end of the day she truly had our best interest at heart and went above and beyond to get us into our dream home! Our relationship didn't end with the close of escrow. Neomi really took us under her wing to introduce us to great people in our community. It's evident that Neomi genuinely cares about her clients; it shines through every step of the way throughout the crazy process .... We are very grateful to have had her guide us through our transaction. We would highly recommend Neomi; she's professional, efficient and truly cares about her clients! Lisa B.
Jeff & Neo were wonderful. They helped us sell our house very quickly with very little effort on our end. They showed our home by appointment only, open house wasn't necessary. They negotiated with the agent & buyer to get us the most for our home. They were very friendly, yet professional, and were a pleasure to work with. Janel S.
From the first point of contact, inquiring about the property, to the close of escrow this team provided exceptional service! They were readily available to speak with on the phone or in person and always followed up in a timely manner with any questions we had. As a buyer we know they had our best interest at heart and made sure our needs were met. I would highly recommend Jeff and Neo for your real estate needs!! Lani M.
Neo, was a pleasure to work with! Neo, is very knowledgeable, knows our area well and is very patient. She listened to our concerns, wants and needs. She was available to show us homes in the A.M or P.M. When our offer was accepted the paper work, communication and professionalism was outstanding. We closed in 20 days! We thank you Neo and will recommend you to our family and friends Cheree M.
Neo was absolutely the best person to work with during the selling of my house. She always responded to me and helped me during a difficult time. I would recommend Neo to anyone who wants good service, advise and knowledge in an agent!!!! Jan N.
We had a great experience with Jeff and Neo. They were very professional and knowledgeable. There were able to answer all of our many questions. They did an accurate assessment of the market and got us substantially more than our asking price for our home. I highly recommend them. Scott M.
Jeff and Neomi were there for me through every step of the sale down to finding the lender that was right for me. I was able to call them at any time with questions, which was often as a first time home buyer and single mother. Neomi helped me look outside the box when viewing homes and to concentrate more on the floor plan than the appearance. Jeff knew how to get the edge on my offer getting accepted over the rest during a time when we were up against many offers. Both kept me informed of the process every step of the way. If and when I move again I will definitely be calling Jeff & Neo! Lisa A.
I had Jeff and Neomi do a short sale for me last year. The process was short quick and easy. They did a very good job and kept me in the loop the whole time. Jeff and Neomi took care of any issues that came up and I had little to do, they took care of everything. I would highly recommend them, I was very impressed with the job they did and how personal they were with the process. And I was fully impressed with the results I got. I would recommend them to anyone that asks. James S.
I am a single income first time home buyer and I have been pretty nervous and scared about my first home purchase. I knew I couldn’t afford to purchase within the bay area and I needed to find an agent who would be willing to help me find a home within my price range outside of the area. Jeff and Neomi were able to do that, they found me a home in Los Banos that fit all my requirements. They were there to walk me through every process from inspections to disclosures and answering all my questions in regards to the littlest things. They were there to calm my nerves and were available to answer my questions the 2nd & 3rd time. I just wanted to say thanks and I think they are awesome. Thanks! Paula W.
Working with Neomi and Jeff was a great experience. Their patience and determination were key factors in buying our dream home. It was a short sale which was very frustrating but they never gave up. Not only did they help us buy our new home but also sold our old home, which was also a short sale, in record time! They are very knowledgeable in all aspects of buying and selling. We would refer anyone to Neomi and Jeff knowing they would provide top level support to their real estate needs. Pete & Lorraine A.
Jeff Enslen and Neomi Lopez did a fantastic job in finding the perfect home for me. They made the entire experience so easy. They asked me what exactly I wanted in a home and then proceeded to find that home. In my opinion these two professionals are the best! Kathy D.
Jeff and Neomi helped me and my husband with the purchase of our very first home. It was a wonderful experience. They really helped make the process run smoothly. I will definitely recommend the Jeff and Neo team to anyone looking to buy Amanda C.
Jeff and Neomi have been the best real estate agents we have ever used, and we’ve done numerous real estate transactions. Jeff is very well briefed in the real estate field and he is definitely somebody you feel is on your side. He offers exemplary service and his office is run very smoothly. His partner Neomi is of the highest quality that we have found in any professional trade. 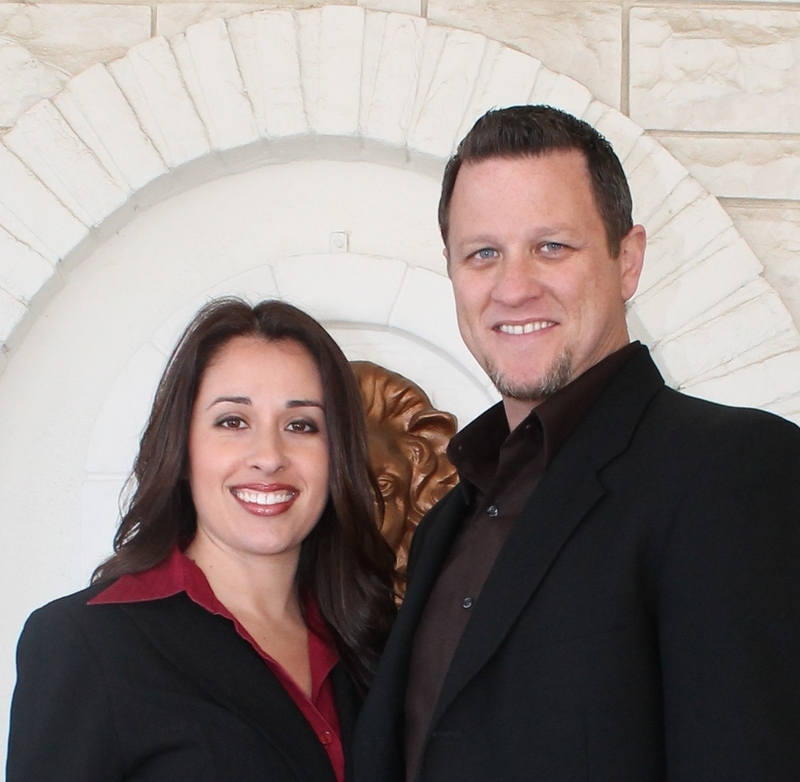 I would highly recommend Jeff and Neomi for anyone that needs help in the real estate field. John M.
Jeff and Neomi helped me with a short sale in Benicia. They did very well and hung in there. They were the only realtors I could find that would work and make sure the customer was happy to get this done. I am very impressed with the both of them and I would definitely recommend Jeff and Neomi to others. Damon M.